In a show about virtually everything, Emmy-winning writer Chuck Martin and his good friend and boss Jerry Seinfeld rocked the Ohio Theatre last night with daily observations that left the audience with nothing but pure laughter, joy and appreciation for two men from the world of entertainment that hilariously exposed all the annoying things in life that they and we encounter and comment on on a daily, continuous basis. How about how we directly define our own personal energy with the precise battery percentage on our phones (you know it’s true!). Once it gets below 20%, the game’s over. Your day has ended. Sadly, it’s only 2:17 p.m. The show (and the 2nd row seats: a sincere thank you to my sister!) were the real deal and it was all spectacular. Now, here’s a juxtaposition for you to contemplate this Friday before the Oscars: What would Jerry Seinfeld be like hosting the Academy Awards? He would be the host of an awards show about nothing. This Sunday night, Ellen DeGeneres will host the 86th Academy Awards from Hollywood with approximately (give or take a few people) a billion people (with a “b”) watching from all around the world. With this being her second time hosting this prestigious event, Ellen is well-versed in what the tone should be, as well as the critical opportunities to grab and (hopefully) maintain the attention of nearly a billion people throughout the exhausting, time-consuming ceremony. A speech is a speech is a speech. If viewers are lucky, one of their favorite actors, actresses, writers and/or directors will win the life-altering award and provide a refreshingly clever, entertaining and memorable acceptance speech (think Sandra Bullock and Adrien Brody, as just two examples). It’s Wednesday, February 26, 2014. Do you know what that means? Well, something incredible occurred last night/really early this morning (by definition) that warrants a visual repeat. Ladies and gentlemen, it all started with a challenge from The Office’s John Krasinski during Jimmy Fallon’s tenure at Late Night. Now, after a few other participants (like the eternally energetic Joseph Gordon-Levitt) have tried their luck at channeling their inner rock star, comedy and musical aficionado Paul Rudd took the Late Night tradition to its premiere on The Tonight Show Starring Jimmy Fallon last night with two lip-synching masterpieces. However, it also needs to be stated that Jimmy Fallon’s skills would never be considered foreign to any lip-synching fan. And yes, this really happened. Paul Rudd and Jimmy Fallon were unequivocally good to the audience as lip sync heroes for the fans in the studio and for the millions of people watching at home. The best news from the continuous success of these lip-sync battles? They will be happening again and again and again! 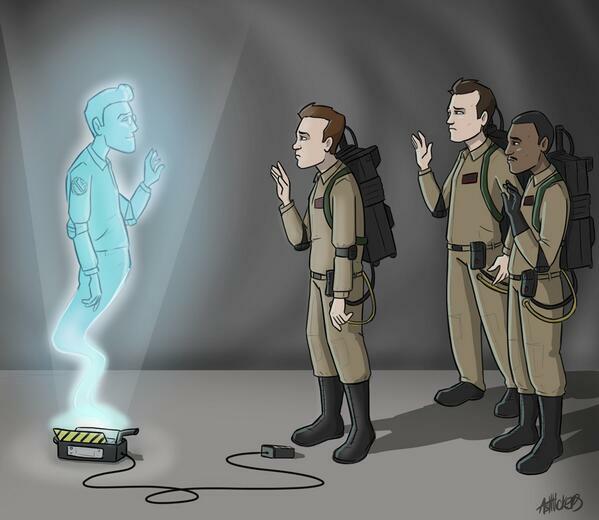 Harold Ramis will be dearly missed and fondly remembered as a man who connected multiple generations together with timeless comedy favorites. His talent for writing, directing and producing witty and humorous one-liners and creating funny characters, as well as portraying funny characters that were witty and humorous with some great one-liners, Harold Ramis was in the entertainment business to make people laugh and smile. Caddyshack, Stripes, Animal House, National Lampoon’s Vacation, Ghostbusters, Ghostbusters II, Groundhog Day, Analyze This, Multiplicity, As Good as It Gets, High Fidelity, Orange County and Year One. These are just some of his best-known projects. Just reading those titles is making me laugh and reminisce about all the hilariously classic scenes I and millions of others still happily quote to this day. Harold Ramis not only brought countless families together to watch the Griswold’s every Thanksgiving and Christmas, Bill Murray every Groundhog Day, but he also brought us joy in watching two idiots struggle in the Army and, unforgettably, the coolest group of ghost-fighting scientists in history. He was a comedy legend that worked with comedy legends. In front of the camera or behind it, he was sensational. That’s a rare gift and he was a rare talent. While it’s impossible to pay a complete tribute to his life and filmography, below is a video by CNN’s Jake Tapper that can serve as a wonderful reminder of how he made us laugh and feel better about the infinitely complex and mysterious thing we call life. Who are we gonna miss? Thanks for the memories and rest in peace.